We have 6 speed manual conversion kits for W113 and W111 suitable for 6 cylinder engines M108 / 127 / 129 / 130 and W107 / 108 / 109 / 116 / 126 with 8 cylinder M100 / 116 / 117 / 119. 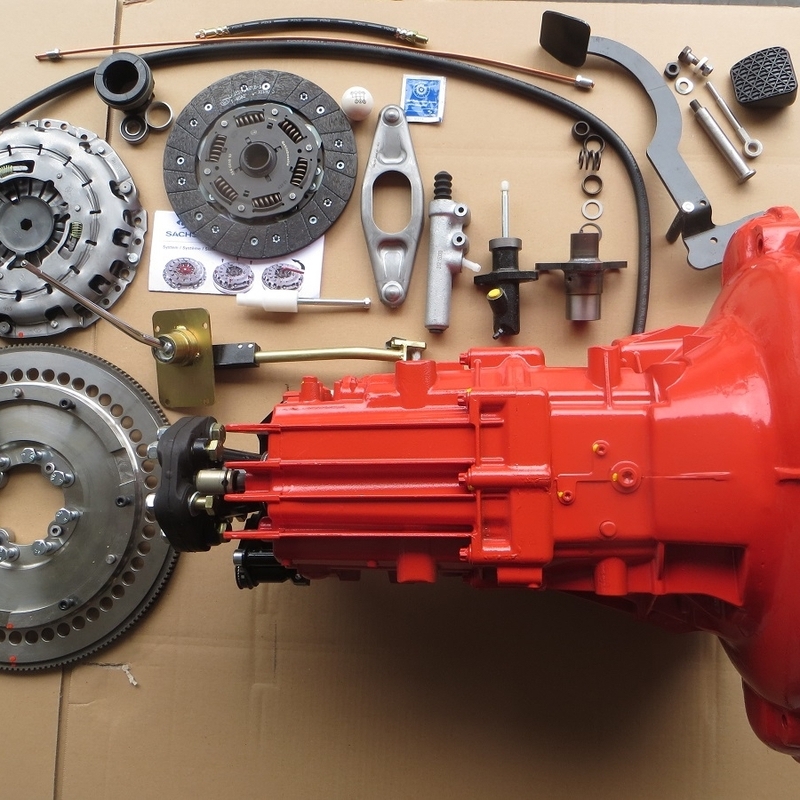 Our kits contain 6 speed gearbox with 2 year unlimited mileage warranty, flywheel, starter ring, clutch kit, universal joint, speedo cable, pedals, clutch master, console, shift linkage, gear lever, and installation instructions. With the original 4 speed manual transmission at 60MPH the engine will need to be revolving around 3500RPM. With the 6 speed gearboxes the engine will only be at 2000 RPM resulting in a quieter more relaxed drive. If you require any more information or would like to purchase a 6 speed kit, contact us through the link below.